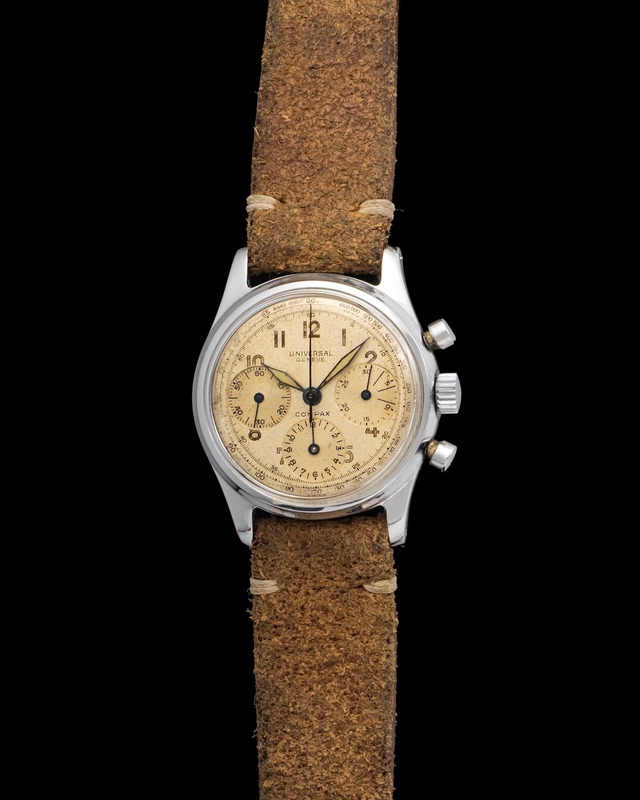 Universal Genève chronographs are becoming some of the most sought after watches out there. They are consistently showing strong results at important auctions and through private sales. Some even pin them as becoming the next Daytona's and Speedmaster's. Here we have a special and beautiful example of a Compax. This one was manufactured in 1960 and given as a present to a manufacturing executive in 1961 (See Case Back Pictures). The appealing aspect about this Compax is its brushed and stepped dial. 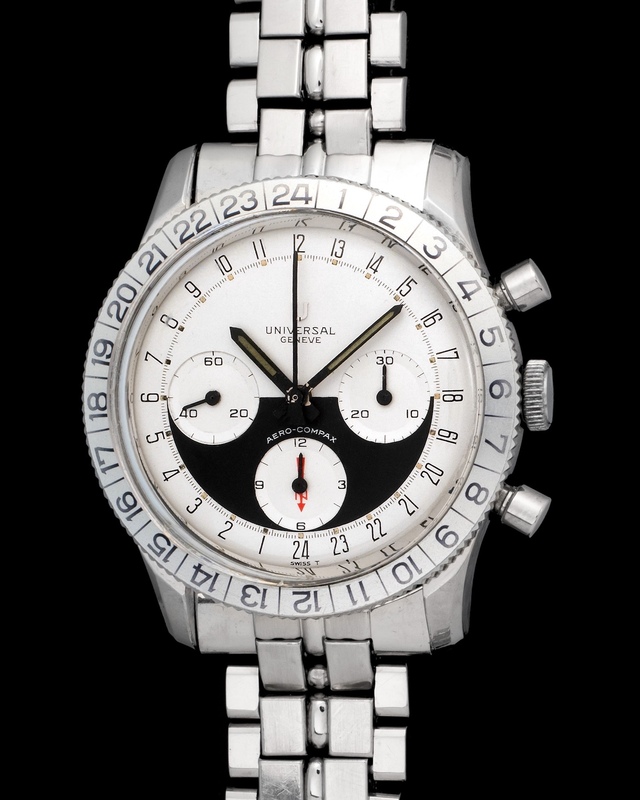 If you look closer at the center dial you will notice the subtle lines and if you focus on the outer dial where the Tachymeter runs you will see a small elevation or step. Another cool factor about this dial is the blue Tachymeter lettering. 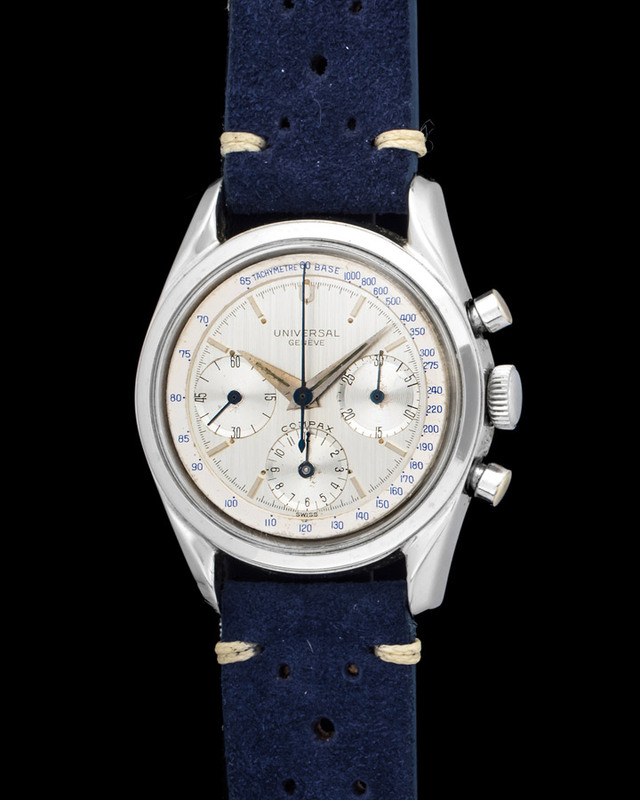 The Compax is such a simple yet beautiful chronograph that is bound to become a classic. 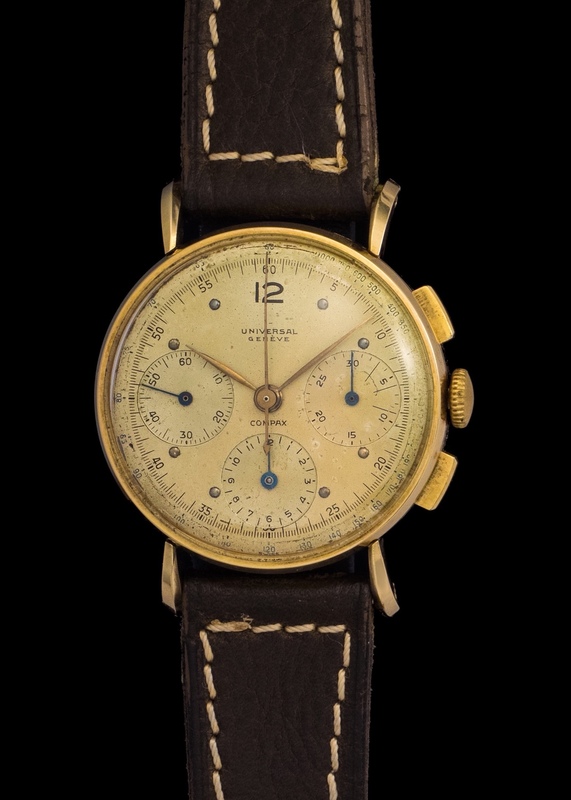 The beauty of a well executed Universal Geneve Compax is unrivaled. This reference 52401 was manufactured in 1943 and is powered by a 285 manual caliber and is cased in a 37mm 14K yellow gold case fitted with outstanding tear drop lugs.